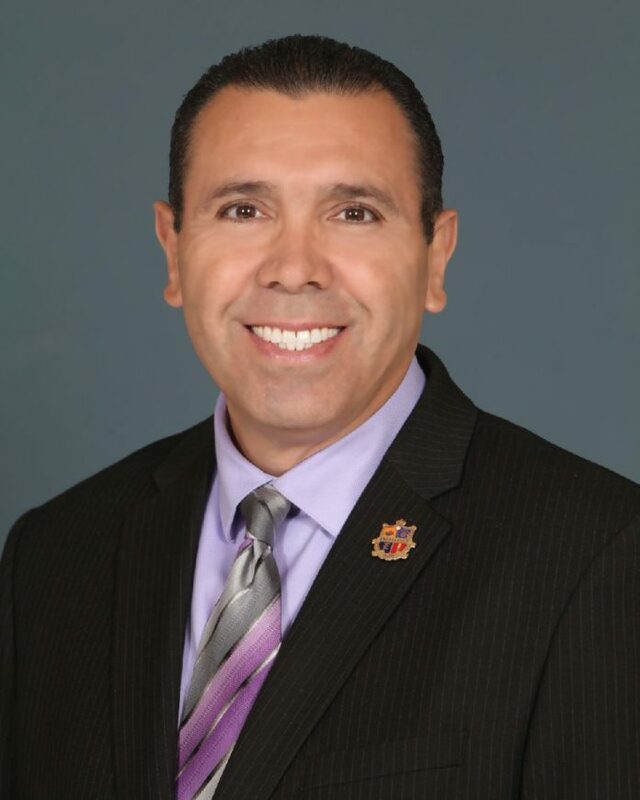 EDINBURG — A grievance filed against Edinburg school district Superintendent René Gutiérrez is expected to the next level as the superintendent himself denied the initial complaint after meeting with teachers. The grievance filed on April 7 stems back to the process used to seek the District of Innovation designation in which teachers who were part of the School Based Decision Making Committee where asked to vote on whether or not to approve the proposal using an identifiable ballot. This came after the committee had previously agreed to make the vote anonymous to avoid opening the door to retaliation. The directive to make the vote public came from Gutiérrez, but school district attorney Kevin O’Hanlon said the main reason to make the decision public was because, unlike other decisions made by the committee which mostly apply under an advisory role, this particular vote fell under a statutory requirement to approve or deny the DOI plan. Not happy with the outcome, the teachers decided to file an appeal to the decision and go back to their original request of having the grievance heard as a Level 3, which are held before the school district board of trustees. The complaint was originally filed as a Level 3, as it was against the superintendent, but district officials determined it would be heard at a Level 2 first. One of the complaints from those now involved in the grievance process was that the process was not made clear to the committee from the get go. And several discrepancies with the DOI proposed plan written by administrators were pointed out by SBDM members on the same day of the vote in question. This coupled with the last-minute requirement to make the vote public, was taken by some of the teachers as bullying and was included in the grievance. “To me, he is not really concerned with what really happened, which was the abuse of power,” said teacher Amado Balderas, who filed the grievance along with two others. For Balderas and others, the fact that the public and private votes were completely the opposite — 30 in favor and 22 against the DOI when public, and 19 in favor and 30 against it when private — showed that committee members, who were mostly teachers, where being directed to vote a certain way by principals or administrators. The bullying charges was addressed in the superintendent’s letter, stating teachers and other employees have a protected right to express their support or opposition of any district matter, but stated there was no proof of the bullying allegation to which they could offer a remedy. Because of the different rules involving the DOI process, O’Hanlon said he could see why committee members would not understand or know that different rules would apply when voting. This issue was never mentioned nor explained during the meeting itself by the superintendent, who directed the change, nor those relating his message, Assistant Superintendents Ron Cavazos and Rebecca Morrison. “Technically, in a lot of things they can do a secret ballot but not on this one, which is kind of a lawyer’s deal, so I can see why there was some confusion,” O’Hanlon said. The DOI plan ended up not being approved by the district board of trustees. But in the grievance, the teachers asked for a series of remedies to the situation, such as providing anti-bullying training to district employees, having the superintendent sign and approve items to be discussed in SBDM meetings and returning the identifiable ballots used in the vote in question to the committee. These were some of the same requests made to the superintendent during a meeting with the teachers prior to filing the grievance. Balderas said they made it clear that if he was able to comply with their requests they wouldn’t file the grievance. Most of these requests were not mentioned in the superintendent’s response. Instead he asked for the committee to change its policies to make all meetings and decisions public. These changes could avoid future complications or confusion as to what votes can and can’t be made in private, O’Hanlon said. The policy changes, however, have to be approved and adopted by the committee itself, so it would be their turn to consider the superintendent’s request. “We are hoping that at the next meeting they’ll put this on and consider the superintendent’s letter,” O’Hanlon said. As far as the next level grievance hearing, O’Hanlon said it was his expectation for the board to want to get it over with as soon as possible, but no date has been set.